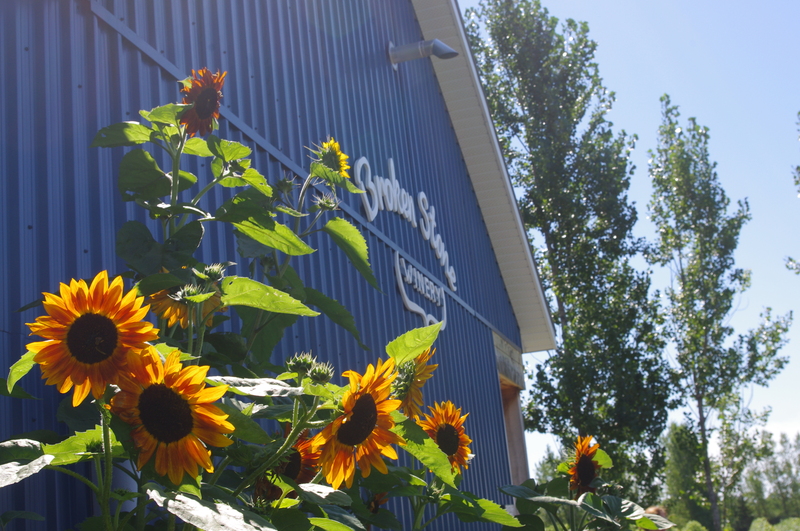 On a lazy Sunday afternoon in August, our sunflowers are at the height of their glory. We’re into the last month of summer now. Veraison — the ripening event where the grapes transform from green to purple and gold — is well under way. 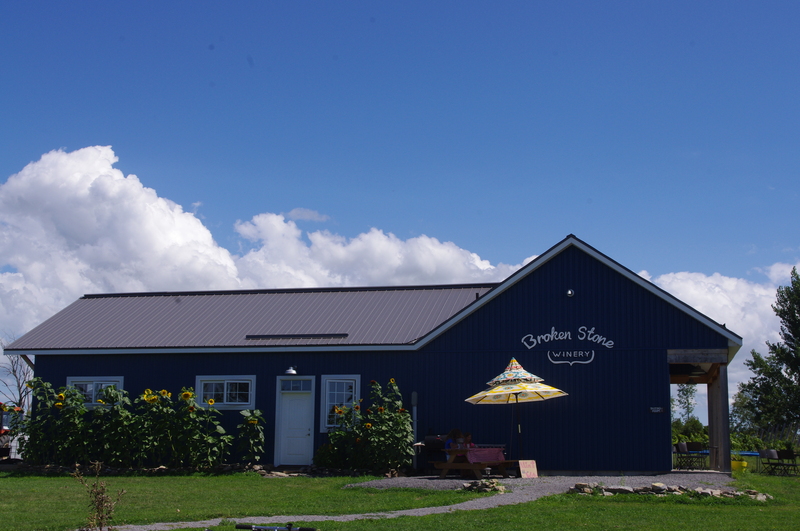 Sunflowers are in full bloom beside the winery and a gentle breeze rustles in the poplars. Bees buzz through our pumpkins’ just-blooming flowers, alongside pumpkins that are like green basketballs. My enterprising girls Ellie and Anika set up a table beside the pathway into the winery, offering ice water made with refreshing mint from the garden. A great day to be in the country and a lazy summer Sunday to be thankful for. Great shots Tim. Love these updates. Could use a glass of mint water! !